Barring an unlikely government refusal of a police recommendation when an appeal period ends on September 4, the pro-independence Hong Kong National Party is set to become the first political party to be banned for political reason since the territory returned to Chinese control in 1997. The imminent demise has stoked fears about the profoundly damaging impacts of Beijing’s surprise move on the city’s freedom of association, speech, and press. The line between the “two systems,” namely Hong Kong’s capitalist liberal system and mainland China’s socialist authoritarian system, has and will become increasingly blurred as the ruling communist authorities asserted its sovereign control over the enclave. It, therefore, came as no surprise that mainland officials were shocked and awed by a fortnight-long class boycott spearheaded by a high school students’ union against the introduction of national education teaching in high schools when it was scheduled to start on 1 September 2012. Hong Kong’s then Leung Chun-ying administration bowed to the citizens’ pressure by shelving the plan, which has deepened Beijing’s concerns about the city’s reversion. The national education saga has emerged to be merely the curtain-raiser to political turbulence prevalent in Leung’s five-year reign, which ended in 2017. An electoral blueprint by Beijing aimed to screen out candidates they could not accept in universal suffrage for Hong Kong’s Chief Executive in 2017 whipped up a storm of protest. 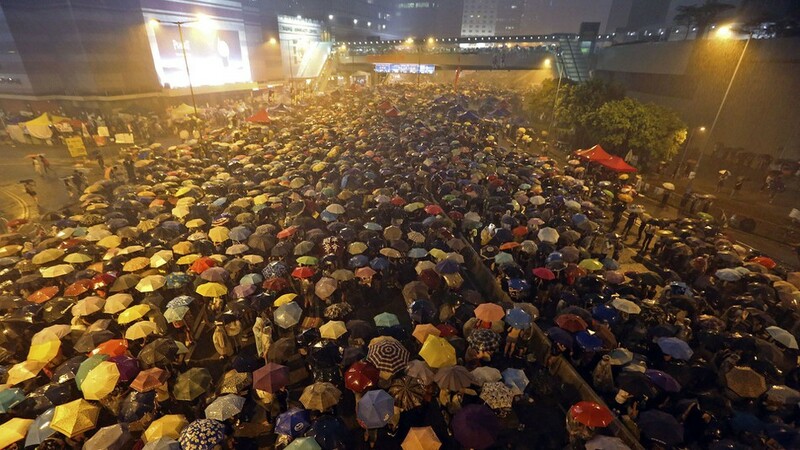 It culminated in the Umbrella Movement in 2014 that saw students and civilians staging a sit-in at the heart of the Hong Kong Island for 79 days. They wanted genuine democracy. The protests ended in a failure as Beijing stood firm, adding fuel to the sentiments of alienation and resistance among the populace, in particular, the young generation, against mainland China. It is against the background of growing strain, if not tension, in mainland-Hong Kong relations that the Hong Kong National Party was inaugurated in 2016. 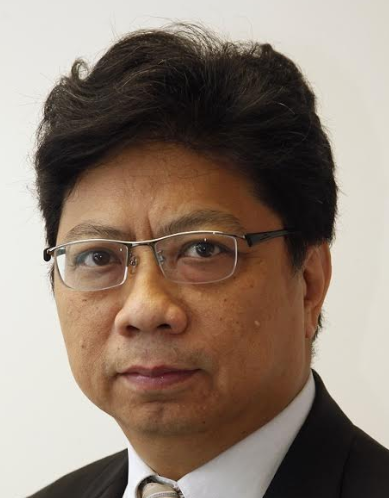 Though its convenor Andy Chan Ho-tin was then a nobody in local politics, the party caused a stir with its call for Hong Kong independence in its manifesto. It became the first political party to do so. Two years on, the tolerance of the Hong Kong government and the Chinese authorities has run out. Based on a report compiled by the police, the government’s Security Bureau, which oversees security policies, has invoked the Hong Kong regulatory body for the activities of associations to consider a ban on the party. They cited a provision that bans groups that endanger national security. A 21-day appeal, originally scheduled to end on August 7, was extended upon Chan’s request. The police sent to the party an 86-page document accompanied by 20 disks and 706 pages of transcripts, speeches and records of their activities since its inauguration. Critics say the surveillance materials were merely remarks, not acts, accusing the government of making criminal prosecution against speech. The pro-Beijing camp argues those were action and advocacy. And more important, they back the government’s zero-tolerance approach to stop the growth of pro-independence activism. The growing intolerance of Hong Kong’s administration led by Chief Executive Carrie Lam is in line with the instruction, if not order, given by Chinese President Xi Jinping during his visit to the city to mark its 20th anniversary of changeover last year. Xi said in a speech the thinking of “one country” should be firmly established. More specifically, he said that any attempt to endanger national security, challenge the power of the central or Hong Kong’s authorities or use Hong Kong to infiltrate the mainland are deemed to be a challenge to Beijing’s “bottom-line.” “(They) must not be allowed,” said Xi. Dubbed “red line,” Xi’s “bottom-line” warning has proved to be no-nonsense talk. The imminent party ban has sparked fears that the room for free speech and press declines if the political “red line” becomes redder and the “bottom-line” is further tightened. Those fears are not unfounded. A spate of controversies erupted in some universities last year when posters calling for Hong Kong independence were found in their campuses. They were swiftly removed by the universities, causing a stir and also a split in universities and society at large. China thinks otherwise. Obsessed with fears about threats to national security, or more accurately, the party’s rule on the mainland, Xi felt increasingly unease about the rise of pro-independence sentiments in Hong Kong and what Beijing deems as “convergence” of separatism in the city, Taiwan, Tibet, Xinjiang, and Inner Mongolia. When late patriarch Deng Xiaoping broached the concept of “one country, two systems” in the late 1980s, he was setting his eyes on the reunification of Taiwan. Hong Kong became the natural experimental ground. TheA success of the imaginative concept in Hong Kong after 1997 would have boosted the chance of reunification and, also importantly, international confidence in the city. The gradual erosion of Hong Kong’s systems and strengths, be it real or perceived, will, therefore, dent international confidence in the city’s vitality and competitiveness in future. 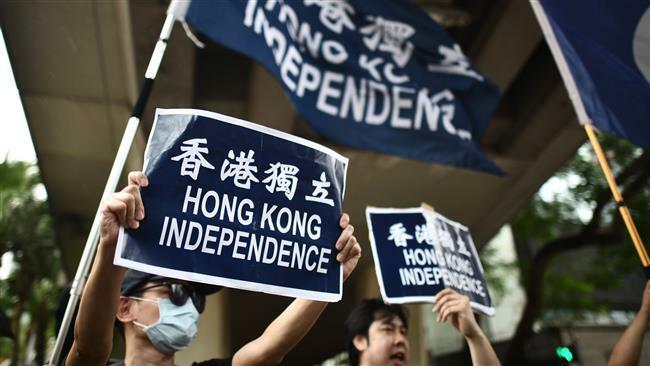 Few Hong Kong people support independence for obvious reasons: it is unrealistic and needlessly provocative. But many people see no harm letting them talk. That the ban sparks fears is because of the growing anxiety that the room for political dissent and views deemed as incorrect politically is shrinking, casting a long shadow on the “one country, two systems” experiment. Pragmatism prevailed in the early 1980s as China began its modernization drive. The then Communist Party leaders knew well Hong Kong could play a vital role in the nation’s economic reform and reintegration with the world. Understandably, they decided to tolerate the cultures and systems of the capitalistic enclave, including free speech, press and publication, knowing that that was part and parcel of the city’s viability. Emboldened by the nation’s ascendancy to superpower status in the past decade, China’s present leadership appears to have changed the way they see Hong Kong. Put bluntly, they may consider Hong Kong no longer indispensable. They could not be more wrong. Hong Kong and the international community must tell China the plain truth that they will pay dearly politically and economically if Hong Kong is no longer what it was. Despite the rise of Chinese cities like Shanghai and Shenzhen, Hong Kong still functions as a hub for international firms in the Asia-Pacific region, connecting mainland China with the world. Politically, the failure of Beijing to honor their promise of keeping Hong Kong prosper and succeed after 1997 will deal a body blow in their aspirations for world power status.